Nicolas JEANSON, following his meeting with Rob STEWART, has designed SharkWatcher. 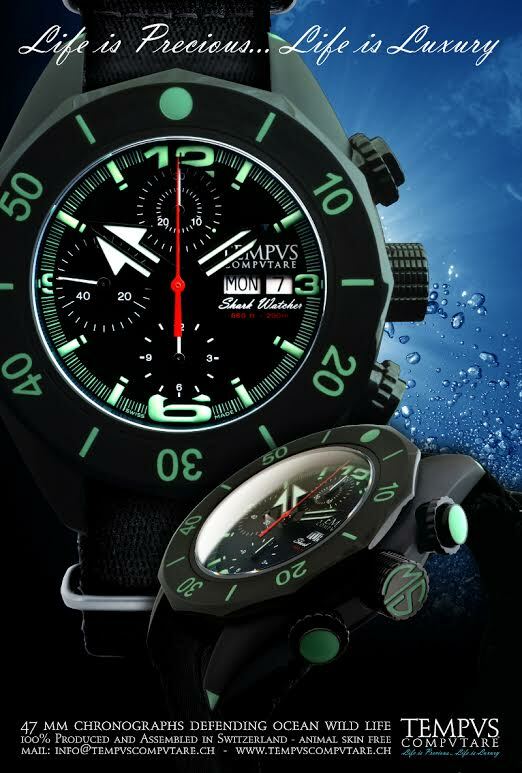 SharkWatcher is the first watch of TEMPVS COMPVTARE watches. 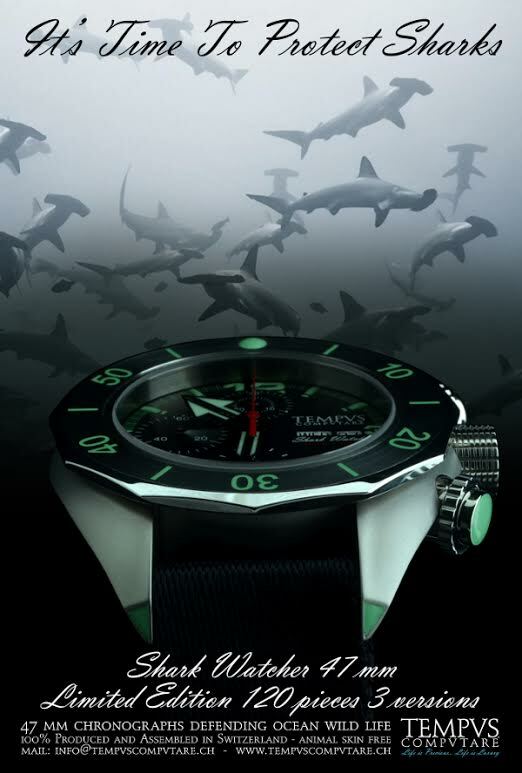 This watch is a tribute to Rob Stewart’s movie: Sharkwater. Released in 2007, this movie exposes the catastrophic effects of the organised poaching of the oldest predator of our oceans, hunted for its fi ns, the shark. SharkWatcher directly drew its design from the underwater universe. 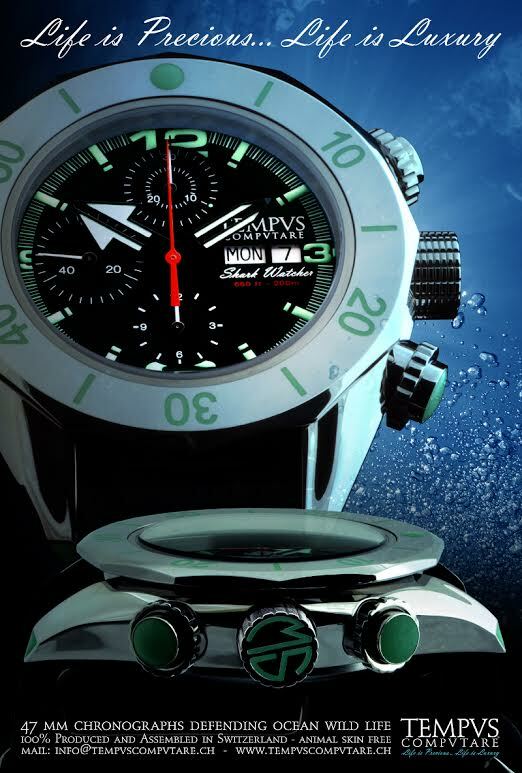 Its hydrodynamic shapes and the generous dimensions of the box, dedicated to a submarine use bear it. SharkWatcher waterproofness and visibility are guaranteed up to 200 meters (660 ft) deep. No animal skin is used. TC-SW-09-PShark Watcher: – Special Edition For Sharks Protection – Animal Skin Free, Movement ETA 7750, mechanical automatic chronograph – Power Reserve 42 hours, Sapphire Crystal anti-reflective coated – Steel Case 47mm and black dial – Water-resistance 200 meters/660 ft – Functions: hours, minutes, small seconds, day and date, calculation of immersion time.